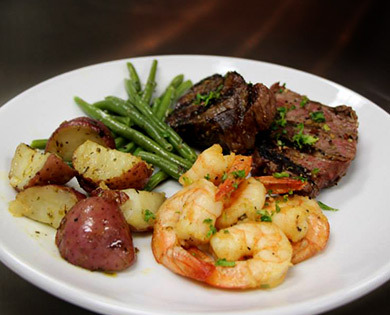 We use the freshest and most delicious ingredients combined with years of experience to be one of top caterers in the Sioux Falls area. Our new event venue located between Sioux Falls and Brandon provides a private location with a beautiful scenic backdrop. We want you and your guests to thoroughly enjoy every event we cater. We look forward to making your next event or occasion an exceptional and memorable one. Please fill out our catering availability form or call (605) 413-8780 we will get back to you promptly. We offer a wide variety of flavors. Check out our food gallery and menu for ideas. 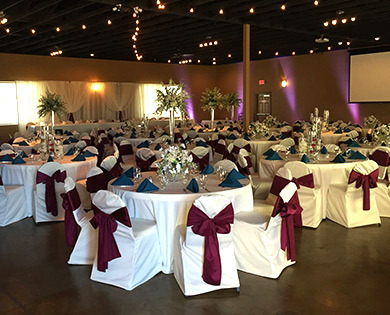 Located near the Big Sioux River between Sioux Falls and Brandon our event venue is perfect for you! After years of cooking and entertaining family and friends Riviera Events and Catering aka Rocco’s Catering was born in 2003. 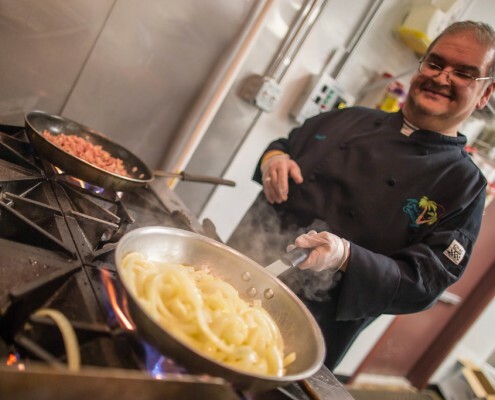 Chef Matt has learned thru the years that success is what we do every day with a passion. We recommend this place to everyone! My daughters wedding here was awesome! Everyone was very helpful and chef Matts food was delicious! We recommend this place to everyone! Helpful, efficient staff and absolutely amazing chefs and food. They did everything to our specifications and pulled off the event flawlessly and professionally! We were so pleased! EXTREMELY easy to work with! We had Riviera for our wedding reception and I cannot begin to say how many compliments we got on our food. Everyone came up to us just raving about how good everything was! It was fresh, so tasty, and SO reasonably priced! The portion sizes were great as well!! Aside from having some of the best wedding food I've ever had, they were also EXTREMELY easy to work with. Darla is so organized and so fun!! These are the people you need for any wedding/catering needs!! Thank you Riviera for all of your help and hard work! We had an incredible wedding this last weekend!! Our Wedding Reception was Wonderful!! Our wedding reception was wonderful!! The food was amazing, staff was friendly and helpful and the venue was beautiful!!! We especially liked the back patio where we could roast marshmallows and visit with people!! Thanks so much for making our day even more wonderful!!! We’ve recently been featured on KELOLAND Living. Watch these segments to see why Riviera Events & Catering is the perfect fit for your special occasion!